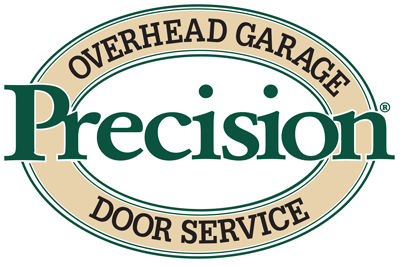 At Precision Door Service of San Diego, our number one priority when both installing and repairing garage doors is your family�s safety and security. We go above and beyond by choosing only top of the line parts with some of the highest safety standards in the industry and then seal the deal with a full 25 point safety inspection and some of the best warranties you can find! What is the UL 325 safety standard? First and foremost, we take our commitment to safety standards very seriously. All of our products meet or exceed both voluntary and mandatory safety regulations including UL 325. This especially essential standard has been a part of the overhead door industry since the early 1990�s and lays down guidelines to ensure your garage door stops when an obstruction is sensed. It also maintains that the door should reverse in no more than 2 seconds and requires �intended input� before door can continue to be used. To meet the strict UL 325 requirements, a operating system must include both inherent entrapment protections as well as a secondary sensor (ie. photoelectric eyes or edge mounted contact sensors). Although this is a voluntary guideline, we believe our customers and their family's well being is well worth the extra effort. We are fully committed to only carrying operators that comply with these standards and are safe to be used in your home. In addition to UL 325 standards, Precision Door operators also include many other safety and security features. Precision Door Operators are manufactured with an electronically monitored push-open security and a self locking gear system. They also feature the latest innovations in emergency cord release security, requiring the emergency cord to be pulled away from the garage door in order to release the trolley. This ensures the door cannot be put in manual mode from anywhere but inside the garage and prevents intruders from manipulating your door to open from outside. All Precision Door operators are fully equipped with an emergency release system that will ensure your door's operation in case of a power outage or malfunction. Simply pulling on the emergency release cord will place your door in manual mode and allow you to open and close the door without the use of the automatic opener. Precision Door operators are designed with Digital Intelligence which constantly monitors the doors sensitivity and force levels to ensure safe opening and closing in addition to the photoelectric eyes. Our operators quickly detect even the slightest obstructions and will stop and reverse in less than 2 seconds. All of our operators use DC Power Technology which, unlike AC systems, allows for variable speed management. This increases the doors safety by reducing the speed prior to the completion of opening and closing cycles when caution is most needed. In this age of technology, wireless security features are paramount. Precision operators and accessories all include the most current and innovative safeguards. This includes remote and keyless entries with rolling code technology which creates billions of combinations making it nearly impossible for illicit interception. These are just a few of the many steps Precision Door Service of San Diego takes to ensure the safety of our customers. As your hometown overhead door specialists, we are always here to answer your questions or alleviate any concerns. Please call us today!